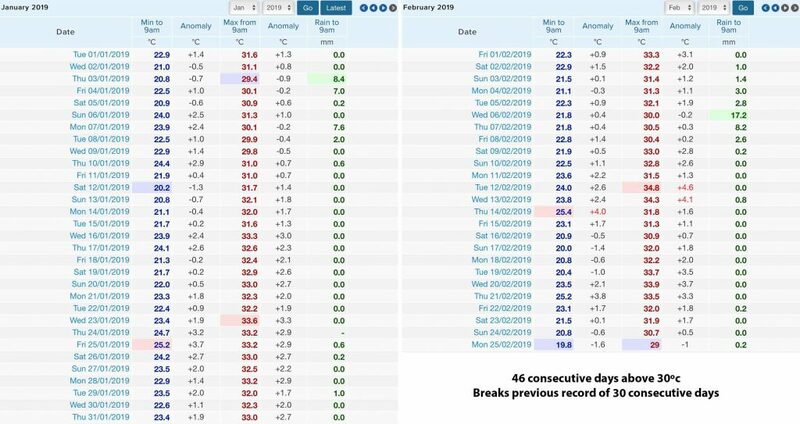 Parts of NSW have recorded their lowest March temperatures on record, with many locations along and surrounding the Ranges showing the potential for their first frost’s for 2019 overnight as temperatures plummeted across the State. Above image is a stock image. Across NSW, the temperature across most locations dropped considerably compared to previous nights / mornings, with areas along the Ranges potentially recording their first frost of 2019! Generally, most locations across the State will have recorded their coldest March morning since 2015. 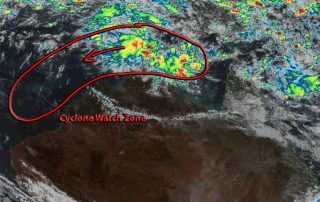 It was the Northern Rivers as a district and Eastern or Coastal parts of NSW that went a little harder with the anomalies and records. 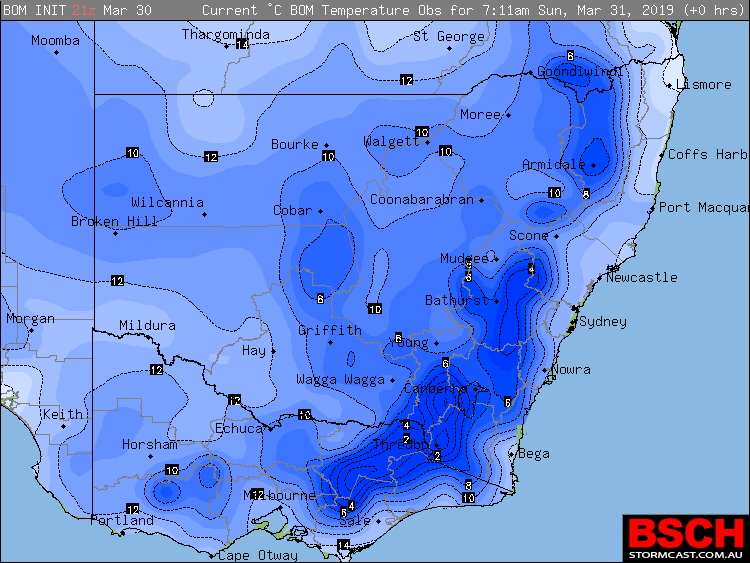 • Thredbo -4.2ºc – Coldest March temperature since 1984! Note: Large parts of Western Sydney fell to between 7 and 11ºc, with the majority of locations recording their coldest March morning in 11 years (since 2008). Parts of the Hunter fell to as low as 5ºc, with most of that district recording its lowest March temperature since about 2015. Large parts of Northern and Central Inland NSW dropped well into single digits as well, with temperatures at their coldest since about 2015 for March too. Real-time temperatures as of 7:10am across NSW and VIC showing the large area of cooler minimums. 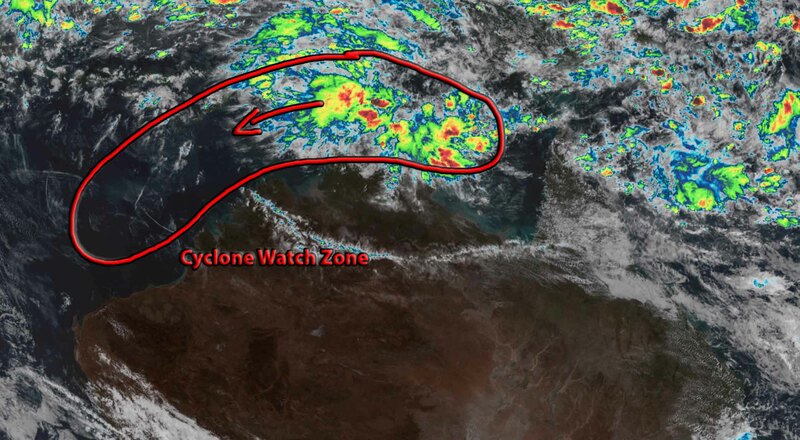 Image via BSCH, data provided by BOM. 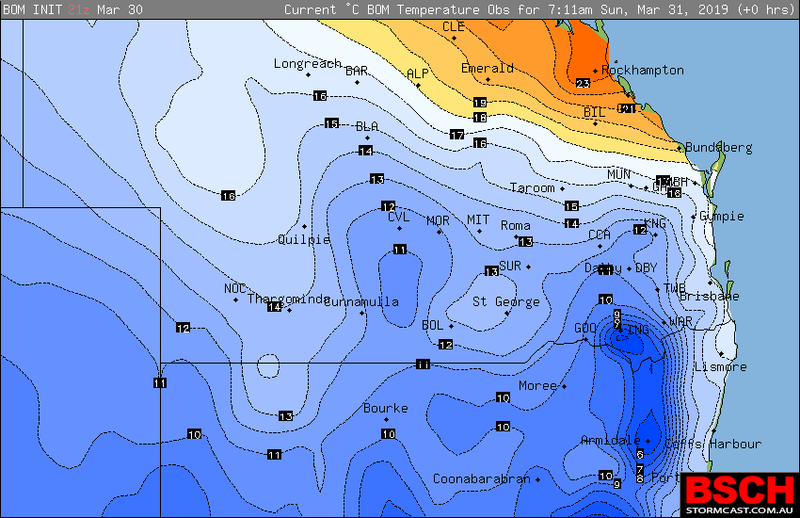 South East QLD and large parts of NSW have endured their coldest March morning for about the last decade thanks to widespread dry and cool South to South West blowing across both areas. 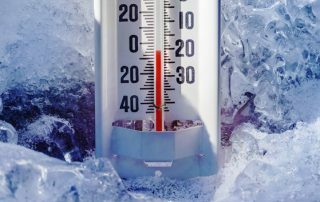 Across South East QLD, it was noticeably colder this morning compared to the rest of Summer as the South Westerly surged in after midnight, dropping the temperature by several degrees in the space of a short period of time. The difference for many locations between about midnight and sunrise was 7-9ºc with many locations sitting in the high teens / low 20’s around midnight and waking up to the low teens or even sub-teen temperatures. 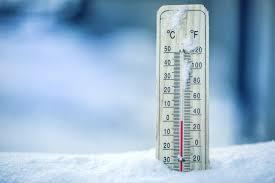 Along the Ranges, areas such as Toowoomba, Warwick and Stanthorpe dropped into single digits for the first time in 2019. 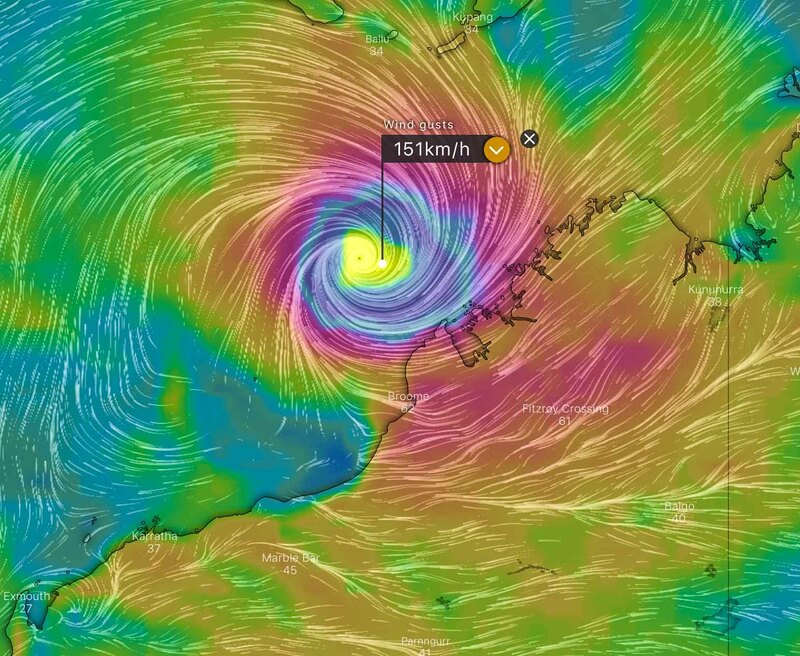 Note: For many areas, especially over South Eastern QLD, minimums this morning (Sunday morning) were around 10-14ºc colder than Saturday morning, purely thanks to the incredibly different winds and air masses that moved over the region in such a short period of time. 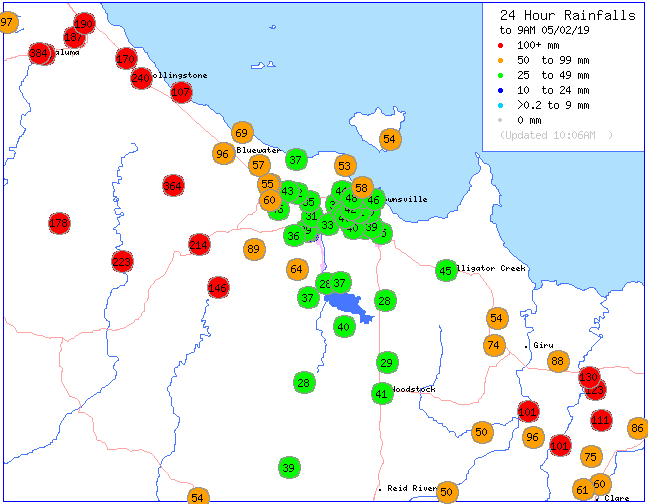 Real-time temperatures as of 7:10am across Southern QLD showing the large area of cooler minimums. 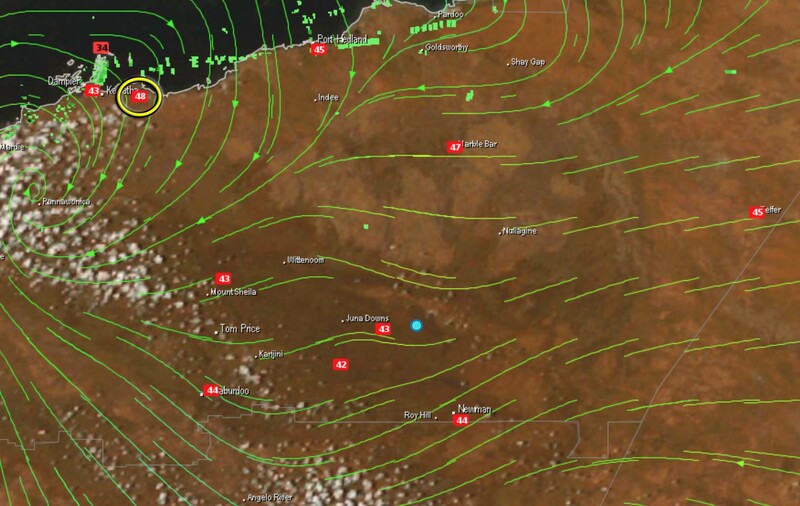 Image via BSCH, data provided by BOM. Record Heat Streak Ends for Brisbane – Continues for Ipswich! Brisbane has finally ended its run of record breaking heat which has SMASHED the previous record. 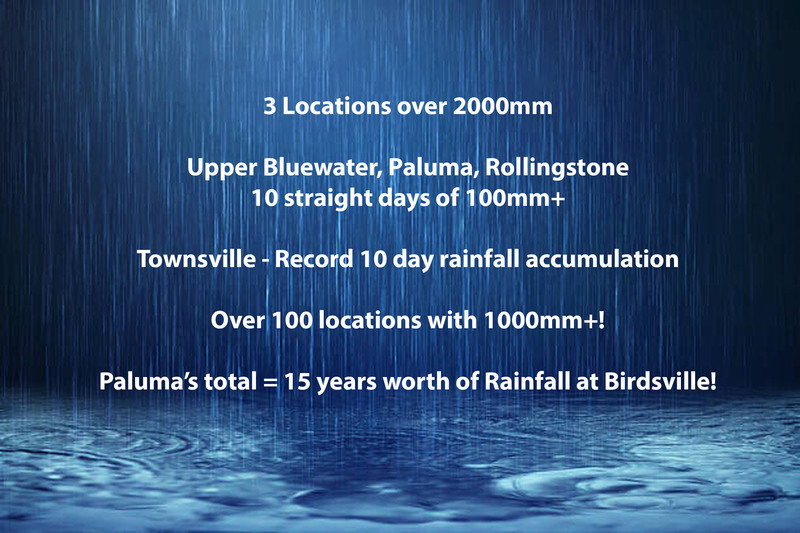 For those just West of the City though in Ipswich and surrounds… the record continues! 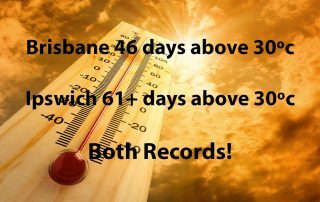 It certainly hasn’t been “insanely hot” or “unbearably hot” by any means, but Brisbane has finally ended its record breaking run of 30ºc. The City reached 29.4ºc today (February 25th) which broke a run stretching from January 9th to February 24th – a total of 46 consecutive days. 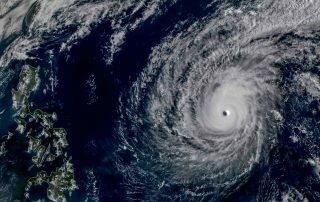 This obliterates the previous record of 30 consecutive days from January 27th to February 27th 2017. So you definitely cant argue that this is “normal”. What is probably the most impressive feature of this stretch of heat, is that no individual days were excessively hot. In the 46 day stretch, only 2 days exceeded 34ºc (February 12 and 13). The only feature which is where people probably started complaining about the relentlessness of that heat was the 18 straight days above 32ºc which is pushing the realms of “noticeably above average” and is also a record for Brisbane for consecutive days above 32ºc. The addition of 57 consecutive nights above 20ºc probably didn’t help either (that streak ended this morning as well with 19.8ºc). During that stretch, only 2 nights were above 25ºc and only a handful above 24ºc – so nothing “excessive” just consistently relentless. This run of heat topped off a record hot January in terms of monthly average’s as well. Ipswich on the other hand has pushed the streak much further. Ipswich reached 30.2ºc today, which makes it the 61st consecutive day above 30ºc and continues on a record breaking streak that is now over 20 days above the previous record. 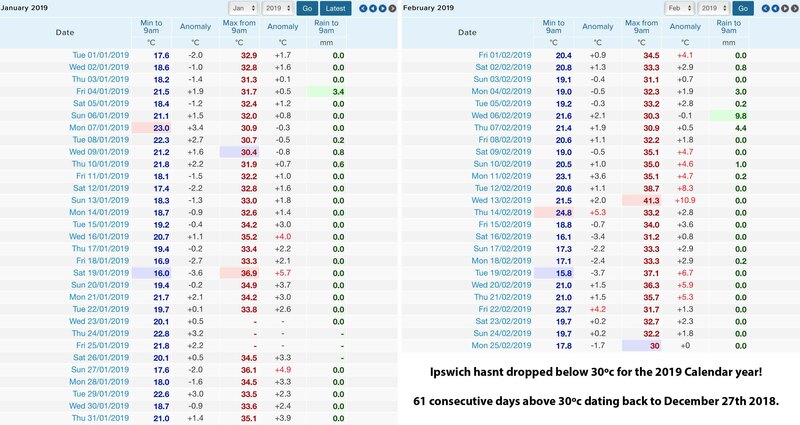 The last time Ipswich failed to reach 30ºc was 29.8ºc on Boxing Day, so that means today has been the coldest day of 2019 so far for the area. Apart from the 41ºc scorcher a little under 2 weeks ago, there hasn’t been an excessive number of days excessively above average so to speak – similar to Brisbane City, its just been relentless and consistently above 30ºc. Models are indicating Ipswich may only reach 29ºc tomorrow (Tuesday) but if it happened to make it to 30ºc, then it could be more than a week before sub-30 occurs again. 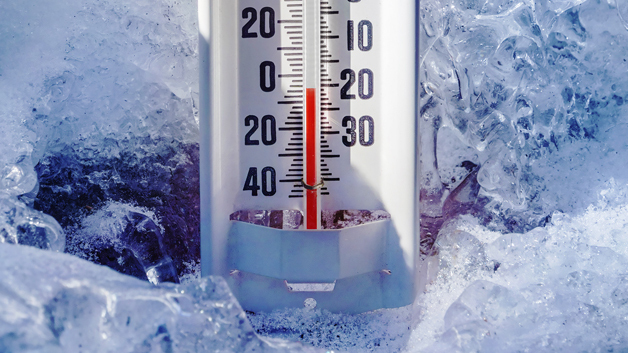 Note: There are 3 blank maximum days for Ipswich on January 23, 24, 25 – When clicking on the data for those days, Ipswich either neared or exceeded 35ºc on all 3 days, well above the 30ºc requirement. 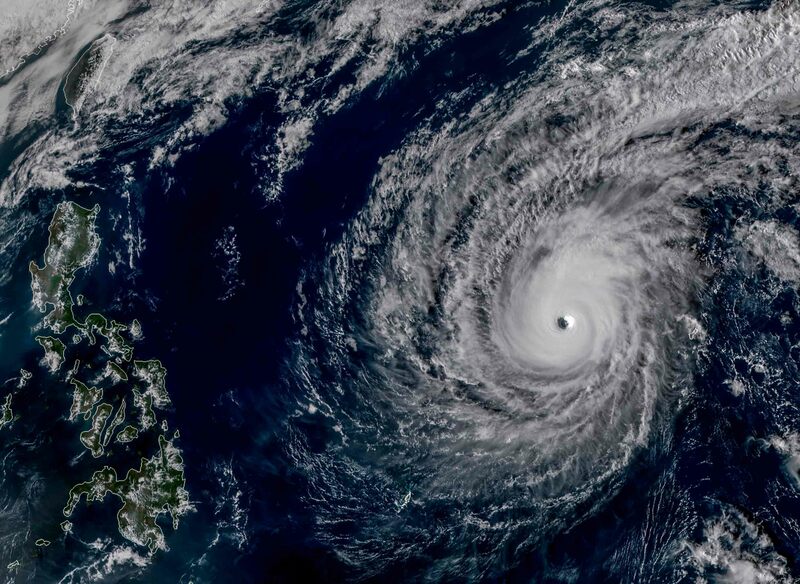 So even though a true maximum wasn’t obtained, the 30ºc+ threshold we know was reached. 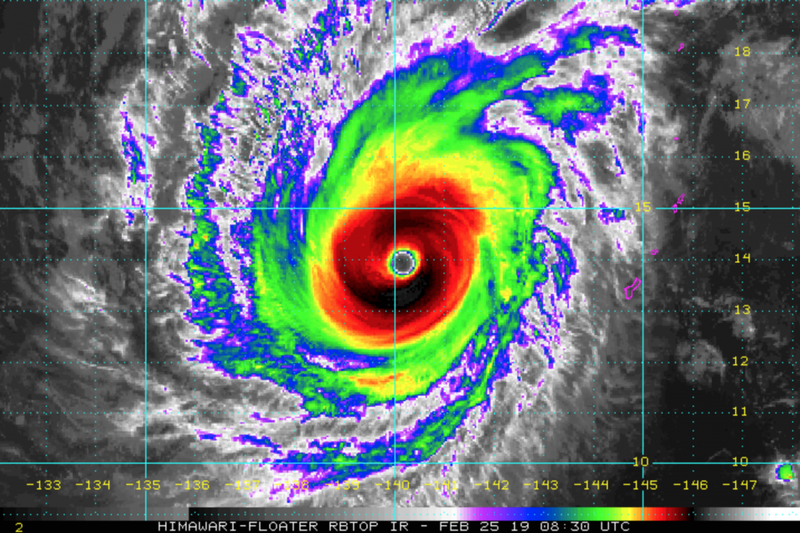 After 12 days of non basically non stop rain, it appears as though the event is finally over – from that perspective, as the flooding is still ongoing and will be for days, maybe even weeks in some areas. 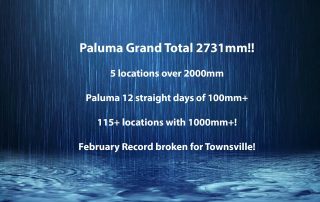 While we will have a full summary report done up over the next few days highlighting certain things (from a State perspective, not just Townsville, as North West QLD has some insanity from a numbers perspective that we wish to share), the past 12 days from a brief summary perspective have been well and truly historic for the Greater Townsville region. 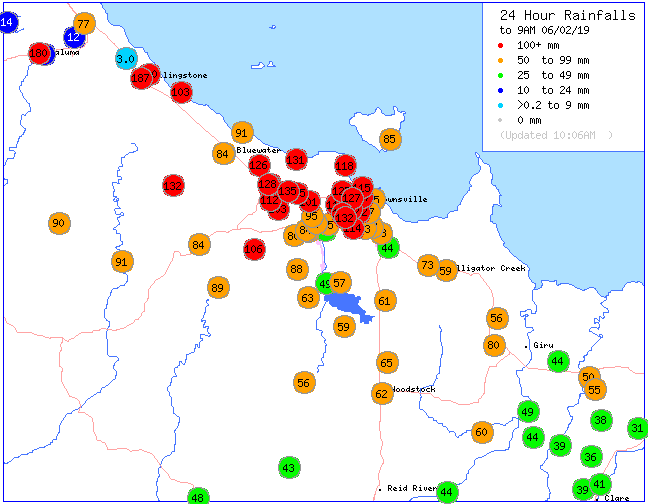 Another day and night of continuous rain has lead to more falls of 100mm+ across Greater Townsville, and for the first time for the event, nobody “officially” recorded more than 200mm – we do need to acknowledge though that there were multiple reports coming into page of more than 300mm at Horseshoe Bay, Magnetic Island from multiple rounds of severe weather yesterday! 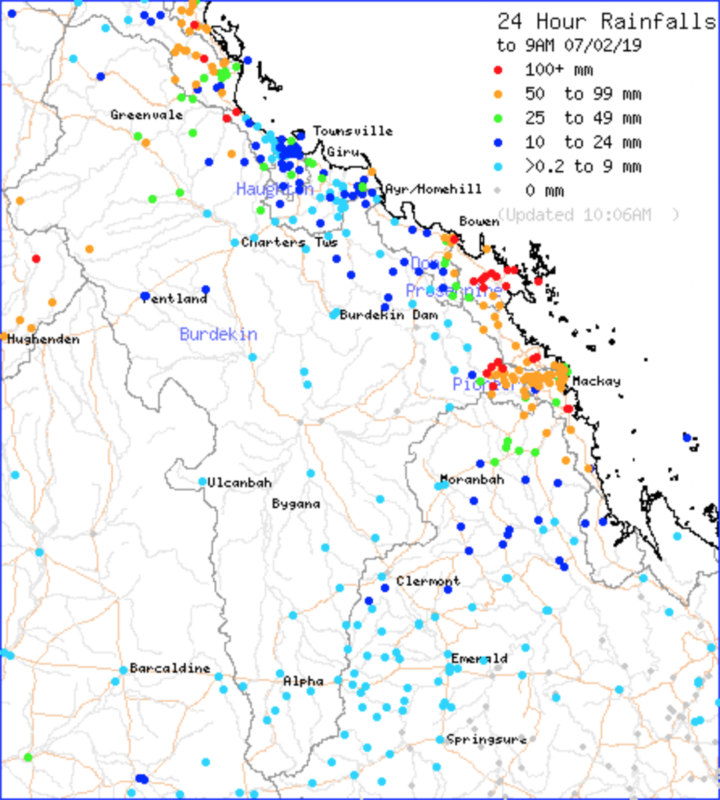 Its also worth noting that we have unofficial but reliable data coming out of Hervey Range where falls for the past 12 days have exceeded 2700mm as well. 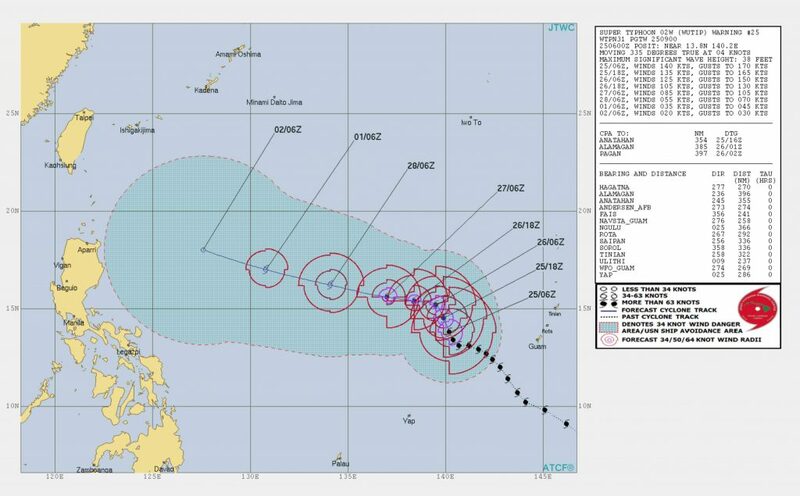 We will look to source that information more thoroughly over the next few days for posting purposes and for the finalised rainfall event summary blog over the weekend. 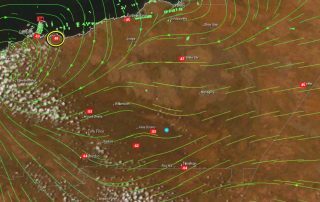 • Townsville has broken its 6 day, 7 day, 8 day, 9 day, 10 day, 11 day and 12 day accumulative records from this event. 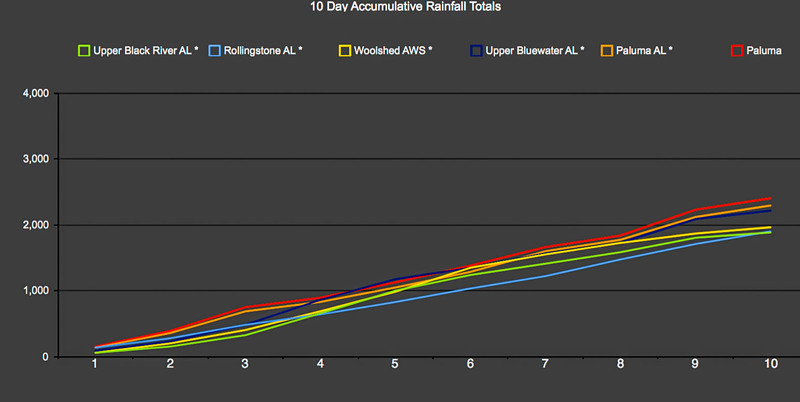 A final 12 day total of 1391.4mm has been observed. • Townsville has also broken its February record of 960.8mm set in 2009 with 998.2mm already. 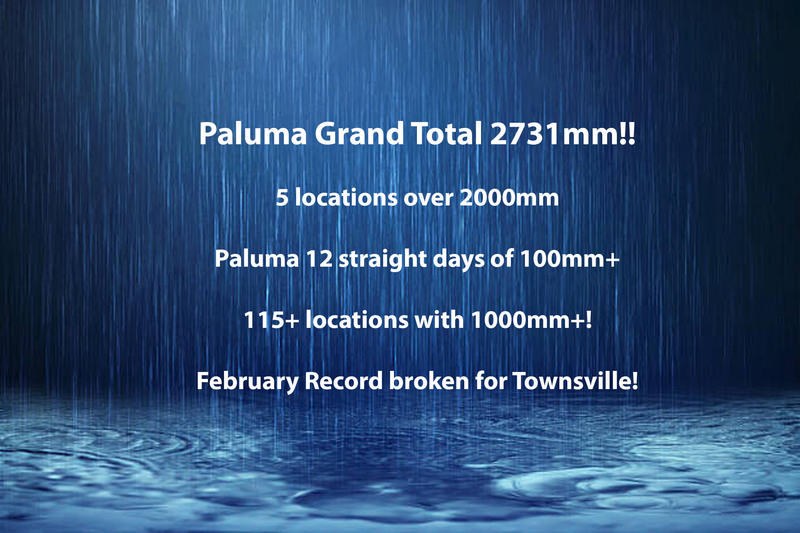 • 5 locations (including the secondary Paluma gauge) cracked the 2m mark for rainfall. 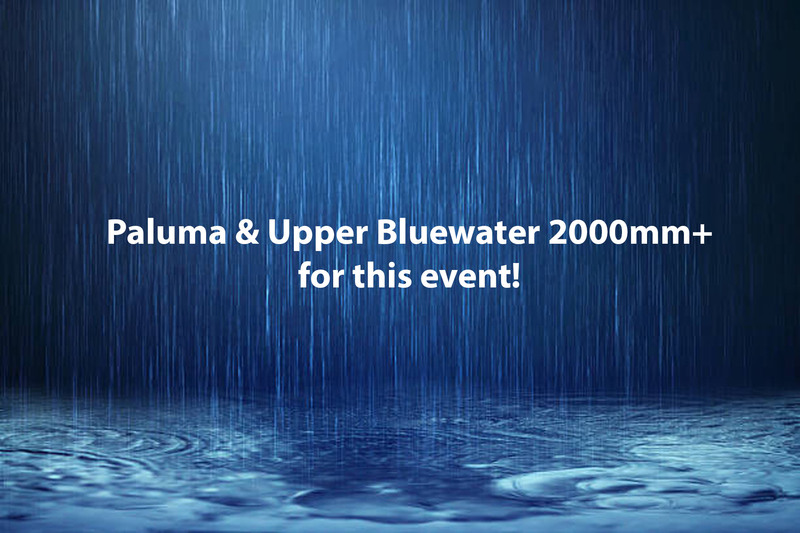 • Upper Bluewater and Rollingstone recorded 10 straight days of 100mm, Paluma baring something unforeseen today, will have 12 straight days for the event. 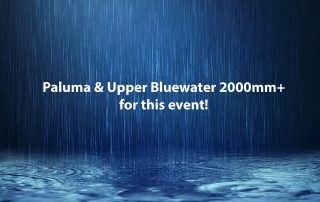 This “could” be an Australian record but the data to source through will take an extremely long time – we do know its more than any of Mount Bellenden Ker’s record breaking streaks. 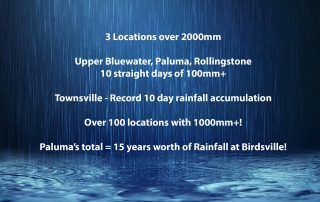 • We will keep the “x number of days since x location recorded 2731mm” for the main blog – but Paluma’s total is the equivalent of 16.5 years of “normal” rainfall at Birdsville – essentially, if youre in school right now, Birdsville hasn’t recorded that much rain since you were born.